Size of this preview: 694 × 600 pixels. Other resolutions: 278 × 240 pixels | 555 × 480 pixels | 888 × 768 pixels | 1,185 × 1,024 pixels | 3,336 × 2,884 pixels. 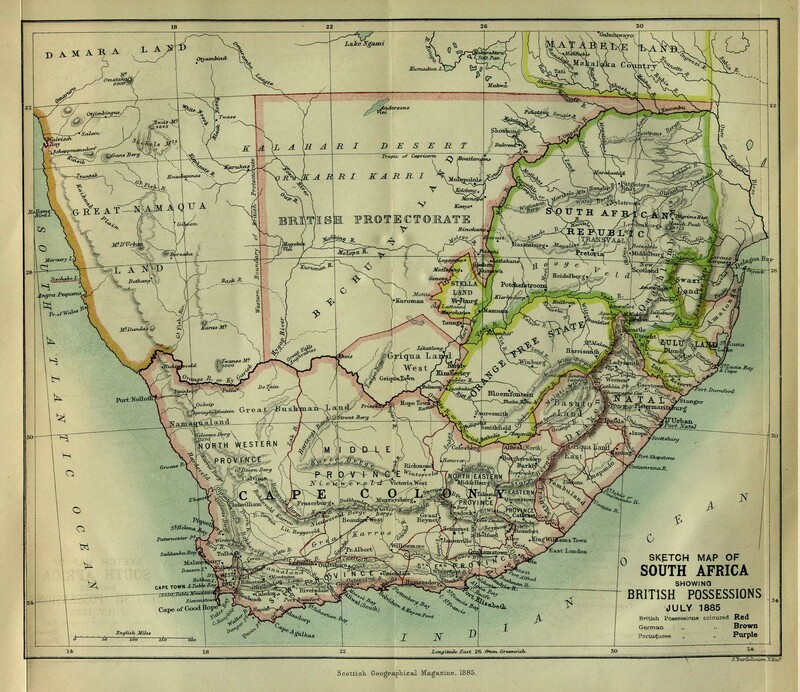 This image is a copy or a derivative work of south_africa_1885.jpg, from the map collection of the Perry–Castañeda Library (PCL) of the University of Texas at Austin.